In August, I ordered my son’s books for school. His school uses an online bookstore and he wanted digital versions where possible so he didn’t have to carry around a heavy bag. So, I ordered what I could digitally and the rest on paper. After about the first week of school was over, he came to me and said that his history teacher said that he really needed the current textbook (he had been using a loaner of last year’s version). I told him that I’d ordered it and thought the teacher would have the online license code to grant him access because I had gotten an email to that effect. Turns out, that was for his science book. So, I checked the online bookstore (Follett) and found the order was incomplete and that one item was backordered and would ship when available. You guessed it, the license code for his history book from Pearson. I wrote to Follett and said that I’d never heard of license codes being back ordered. It takes a second to generate a new code and email it to someone. They gave me a polite brush-off reply that, indeed, codes can be backordered and they would ship when available. Last week I got an email that his license codes had shipped. Via FedEx. And would arrive late the following week. Again, I boggled that license codes had to be shipped. Then they arrived yesterday. 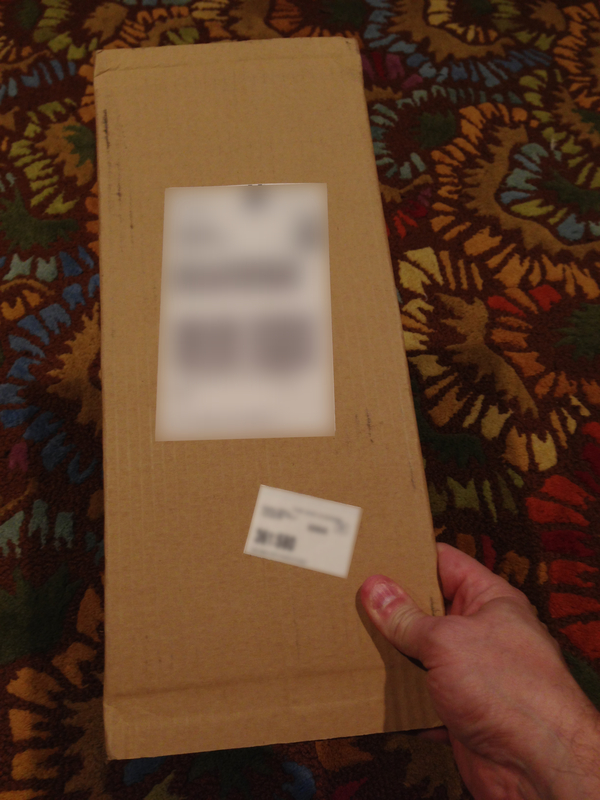 They came in a ridiculously large, flat package. Inside where two sets of codes (for two years of access). I felt like redirecting the package to the school just to complete the absurdity of the whole thing but texted him the code for the first year instead. In 2014 unlock codes for digital books have to be mailed in a package via conventional shipping. The mind boggles.